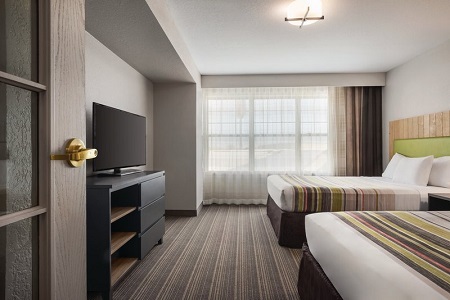 Located just off I-43, the Country Inn & Suites® by Radisson, Green Bay East, WI is the ideal spot for your football weekend or family getaway. 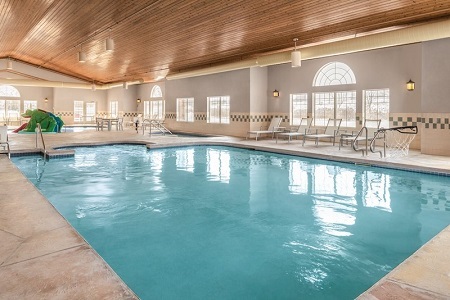 The hotel’s proximity to Green Bay’s shoreline means you’re only minutes away from fun-filled attractions like Bay Beach Amusement Park. Lambeau Field and the Green Bay Packers Hall of Fame are an easy drive from the hotel, so Packers fans can enjoy stress-free stadium commutes. Need extra room? 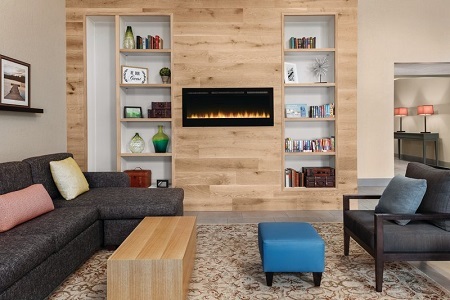 Consider booking a Two-bedroom Suite for expanded space and separate quarters for kids and parents. 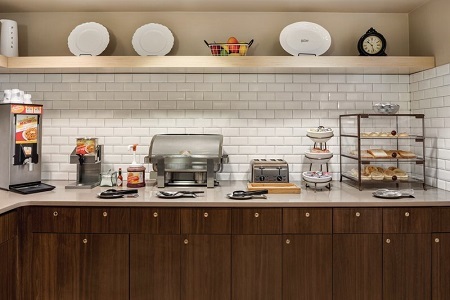 Fuel your daily activities with a visit to our complimentary, hot breakfast. The scrumptious selections include a rotation of hot items like scrambled eggs and French toast along with everyday favorites like Belgian waffles and fresh fruit. Later in the day, you can find delicious lunch and dinner options at area restaurants like Mackinaws Grill & Spirits and Pablo's Mexican Grill House & Cantina, which is attached to the hotel. Bay Beach Amusement Park – Ride the Zippin Pippin wooden roller coaster and other family-friendly attractions at this seasonal waterfront venue, only seven minutes from the hotel. The park is open May through September. University of Wisconsin–Green Bay – With a beautiful green campus that overlooks the bay, this appropriately named university has a long-standing heritage in environmental studies. Cheer on the Phoenix basketball team, and check out the unique underground tunnel system that allows students to travel comfortably between buildings, no matter what the weather. National Railroad Museum – Train enthusiasts of all ages won’t want to miss the historic locomotives and train cars at this fascinating museum just eight miles from the hotel. Highlights of the collection include the enormous Union Pacific Big Boy and the historic Dwight D. Eisenhower. 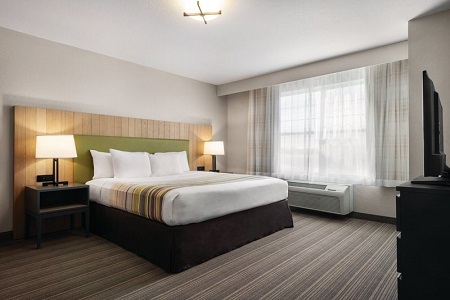 In addition to a convenient location in the bustling city of Green Bay, the Country Inn & Suites offers special rates and discounts to groups traveling through the area.